THE latest MOD survey of soldiers revealed that at least half do not feel respected by society. 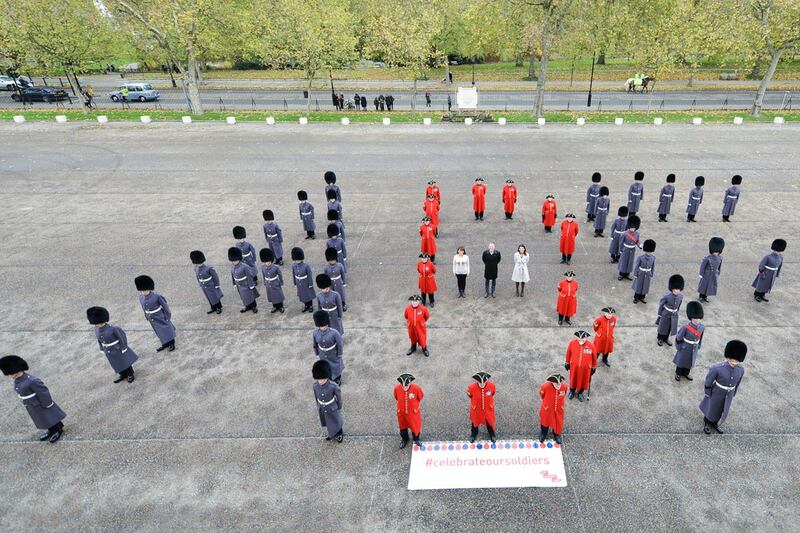 Morale is important to our troops, and now ABF The Soldiers’ Charity are asking you to show your support for Servicemen and women in a brand new campaign. 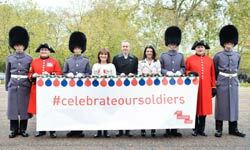 Celebrate our Soldiers is a campaign to support our soldiers, either via social media using the hashtag #celebrateoursoldiers or by more traditional means. 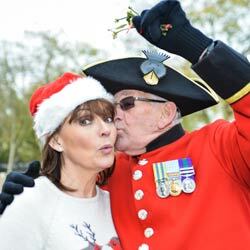 Celebrities including Lorraine Kelly and Chris Tarrant, serving personnel and Chelsea Pensioners joined soldiers from the Scots Guards for the official launch to celebrate the people who serve our country. Chris Tarrant said: “I think there is a real awareness now of what these young kids are doing for us. “And it always makes you think of the families; that rock of support that’s there for these guys when they’re overseas. Life can be tough for them. Brigadier (Ret’d) Robin Bacon, from ABF The Soldiers’ Charity said: “We want to show every soldier, former soldier and forces family out there that they are supported by the public. The Charity hopes to raise almost half a million pounds to help soldiers and their families in need this Christmas.